Recorded in 2018 in Sweden, The Netherlands and Germany. Stefan van de Sande: Music / Words / Art-work / Pictures / Vocals / Guitars / Bluesharp / Ukulele / Recordings /Mixing / Production. Every Graind Of Sand: words and music by Bob Dylan. Liseth Horsten: Vocals on Change, Every Grain Of Sande, Summertime In Sweden. If you would like to hear all the song then buy the CD album. How to purchase the album you will find at the bottom of the Albums Page. By Maria D'Alessandro, Januari 2019. 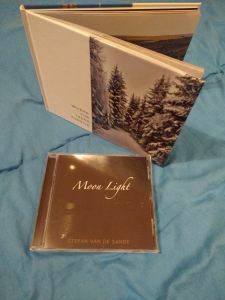 Hi Stefan I listened to your Moon Light CD.Very impressive and relaxing as usual Lol. Once again, it’s nice the way you weave in female vocals in some of the songs by way of duets or harmonies - this adds a nice contrast to your voice and adds an uplifting dimension to any song. This album, like your previous works, is one of healing and enlightenment. The story telling and ballad style of songs such as in Ian Aaron King and Whitby Abbey Grave Yard, are uniquely you and you compose them well. You also write about nature and places you visit such as Sweden which you refer to as your garden of Eden where you go to dry your tears. An affectionate place of retreat no doubt. Other songs are just happy go lucky or romantic or simply celebratory in style such as Farewell, Light, Praise My Life and Step by Step. Your smooth rendition of Bob Dylan’s “Every Grain of Sand” is superb and a nice surprise for some of your fans who love Dylan. The story telling and ballad style of songs are uniquely you and you compose them well. This album, like your previous works, is one of healing and enlightenment and I am grateful for Troubadours such as you Stefan who kindly share your deep and meaningful thoughts and music around the world. Congratulations and many thanks for your continuing gift of music. 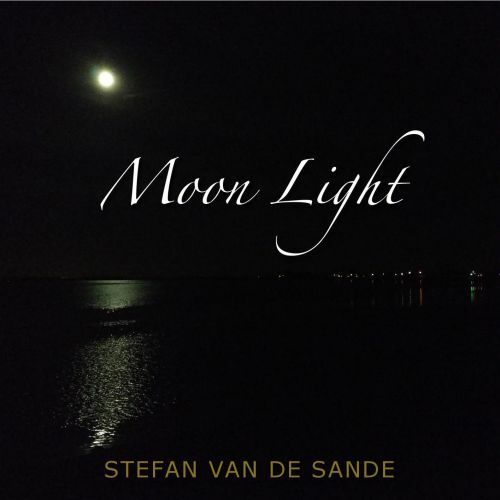 ​​​​​​​“Moon Light” is a poetic ukulele/guitar folk music masterpiece written, recorded, and mixed by Dutch troubadour Stefan van de Sande. Think in terms of clear, simple, innocent, heart chakra openings throughout the 16 folk songs pulsing and sung with disarming vulnerability and integrity. ...sung with disarming vulnerability and integrity. Other songs, such as “In My Dreams”, start with startling darkness only to meander to clairvoyant deep emotional security. Or, “Better”, a blistering condemnation of arrogant American over-reaching abuse of power. There is even a subtle wink at Bob Dylan’s “Farewell Angelina” in “Farewell”, but don’t blink, or you’ll miss it. “The Crystal Burn” and “Water” are two distinct takes of the same composition, as are “Step By Step” and the stepped up “Masters Never Run.” Melody cleverly explores European roots in “The End Of The Day” when Stefan’s baritone Dutch accent suddenly turns into an Irish tenor brogue in the chorus line. Last but not least, Bob Dylan fans are treated to a heartfelt “Every Grain Of Sand” that tells the truth. when Stefan’s baritone Dutch accent suddenly turns into an Irish tenor brogue in the chorus line. Seen through the lens of the troubadour in Dylan, “Moon Light” again and again hearkens back to “John Wesley Harding”, perhaps Bob’s greatest LP “novel” as it were – of timeless lyrical parables and melodies, surely passing the test of time.